Using an advanced form of MRI, researchers found that concussed football players typically showed lower blood flow in the brain eight days after the injury. That was despite the fact that their symptoms had usually gone away by that point. However, the study involved just 18 athletes and it's too early to know what the findings might mean, experts said. "Does the decreased blood flow indicate a window of cerebral [brain] vulnerability? Nobody has shown that yet," said Kenneth Podell, co-director of the Methodist Concussion Center in Houston. According to Podell, who was not involved in the study, it's remarkable that the athletes' brain blood flow actually declined as their concussion symptoms improved, since that's counterintuitive on the surface. But if the symptoms have gone away, Podell said, it's not clear that the blood flow change would be something to worry about -- especially if it's short-lived. Study leader Dr. Yang Wang, an associate professor of radiology at the Medical College of Wisconsin in Milwaukee, called the findings "interesting," but just a first step. "We don't have enough data to tell parents or doctors what to do at this point," Wang said. He was to present the findings Monday at the annual meeting of the Radiological Society of North America, in Chicago. Research presented at meetings should be viewed as preliminary until published in a peer-reviewed medical journal. The study comes at a time of growing concern over the possible long-term effects of concussions -- especially repeated concussions -- in young athletes. According to the U.S. Centers for Disease Control and Prevention, more than 248,000 U.S. children and teens land in the ER each year because of a concussion suffered during sports or other physical activities, like bike riding. Concussions can cause a range of symptoms: a headache that gradually worsens, nausea, dizziness, confusion and irritability are among them. Of the sports that carry a concussion risk, football has gotten the most scrutiny -- partly because of high-profile cases in which professional football players suffered long-term damage attributed to repeated blows to the head. Just last week, the family of football great Frank Gifford announced that he suffered from chronic traumatic encephalopathy (CTE) prior to his death at the age of 84 in August. CTE, which is linked to repeated hits to the head and concussions, has been detected in many ex-NFL players in recent years. It can only be diagnosed after death, but typical symptoms include depression, aggressive behavior, impulse control issues and loss of memory. But, Podell pointed out, no one knows whether kids and teenagers who play football suffer any lasting brain damage from knocks to the head, including those that cause a concussion. Still, Podell said, young athletes' concussions must be taken seriously: They should be removed from the field and not allowed to return to activity -- physical or mental -- until their symptoms have resolved and a doctor gives the OK. The problem, both Podell and Wang said, is that doctors have to rely on imperfect measures -- including whatever a young athlete says about their symptoms. And kids who are in a rush to get back in the game might not tell the truth. An objective biological marker -- whether it's measured with a brain scan or a blood test -- is the "holy grail" of concussion research, Podell said. That could give doctors a more precise way to diagnose concussion, and to gauge whether a patient has recovered. However, no one knows whether the MRI technique used in this study could be the answer. Wang said much more research is needed. The current findings are based on 18 football players, with an average age of 18, who'd suffered a concussion. Each athlete had their symptoms evaluated and underwent brain scans one day after the injury, and again one week later. The researchers used an advanced MRI method that can measure blood flow in the brain. On average, the study found, the athletes' symptoms had faded by the second evaluation. But their brain blood flow had actually declined. No such change was seen in a comparison group of 19 uninjured players. According to Podell, larger, longer-term studies are needed to know how long the reduced blood flow lasts -- and, even more importantly, what it means. "Right now," he said, "the best road back from concussion is a gradual return to physical and mental activities. Parents should seek help from a professional with expertise in concussion." But Podell also cautioned against getting overly alarmed by the concussion risk that comes with sports. "Sports, including contact sports, have a lot of value," he said. 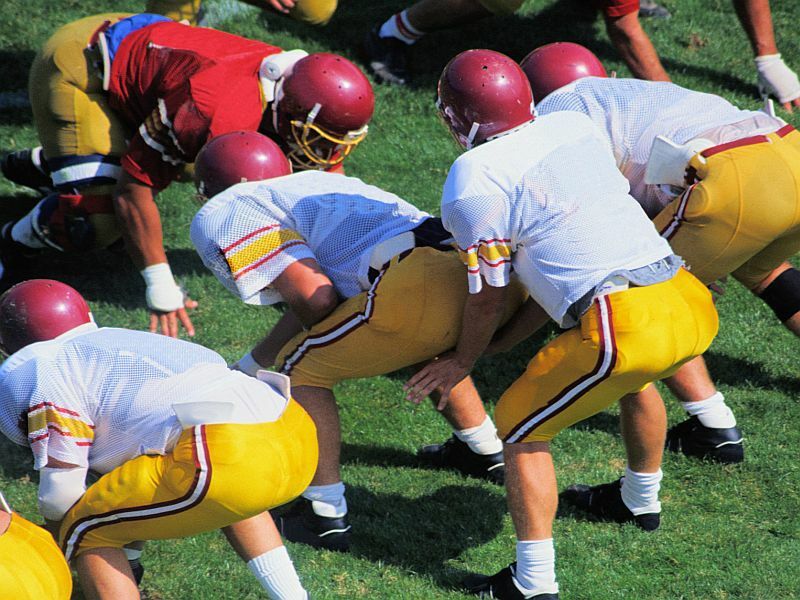 "And keeping kids out of contact sports won't eliminate their concussion risk." Falls and car crashes are actually the leading causes of hospitalization for concussion among children and teenagers, according to the CDC.